State Theatre New Jersey was thrilled to celebrate Hispanic Heritage Month with two performances by Tango Buenos Aires, direct from Argentina, on October 20 and 21. 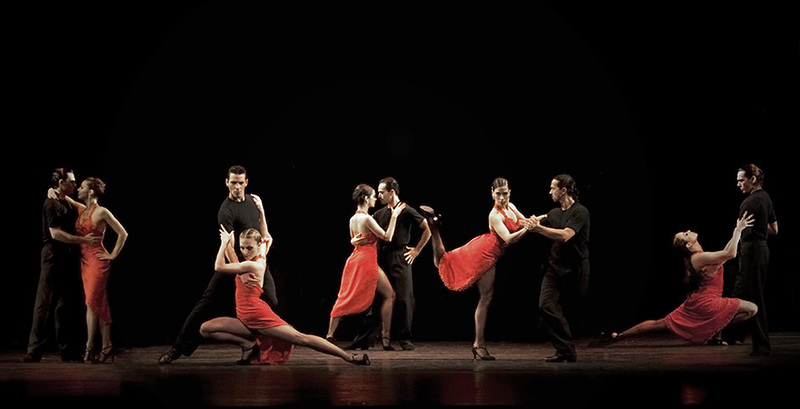 The group, created by renowned composer and tango director Osvaldo Requena, took to the State Theatre stage in a program that combined the many rhythms and styles of tango to tell the story of Carlos Gardel, who was known as "The King of Tango" before his tragic early death at the height of his career. The performance featured short vignettes of Gardel's life as told through dance, including his childhood and tumultuous teenage years, his enjoyment of soccer and boxing, his life as a gaucho, romances in Paris and New York, and of course his love of the tango. Our Latino Outreach Committee, led by State Theatre board member Luis de la Hoz, hosted a special pre-performance reception on Friday, October 20 surrounding this performance. Dozens of audience members from our surrounding Latino community attended this reception, which highlighted and celebrated multicultural programming at The State. Guests enjoyed complimentary appetizers while they met, mingled, and connected with each other before curtain time. Our Latino Committee invited influencers and VIPs from throughout the community to experience this truly spectacular evening at State Theatre New Jersey, while also helping to spread the word about our upcoming performance of Hot Latin Nights with The Mambo Kings and NJSO, coming up on February 18. Mark your calendar! AARP New Jersey was the proud sponsor of Tango Buenos Aires, and their volunteers greeted audience members in the lobby with cheerful smiles and helpful information before each performance. On Saturday, October 21, AARP held a pre-performance reception for its volunteers, featuring food, drinks, a fun photo booth, and a festive atmosphere. After the reception, their guests enjoyed the performance as a perfect thank-you for their hard work and volunteer hours with AARP. State Theatre New Jersey is grateful for AARP's generous support of Tango Buenos Aires, and we were honored to host their group for this celebration!